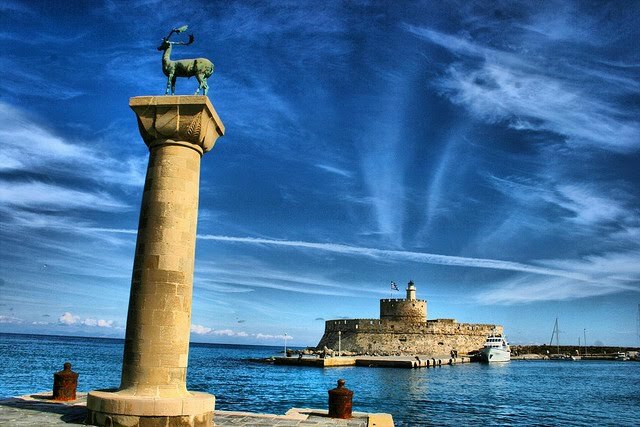 Rhodes island weather: The climate of Rhodes is a mild Mediterranean climate characterised by sunny and dry summers and mild winters. Refreshing breezes and winds are blowing during the months of July and August, making the temperatures more bearable. As an island, Rhodes has a quite humid climate and some heavy rains during winter and autumn. It’s called also the island of “SUN” , as it has 300 days of sunshine in a year!